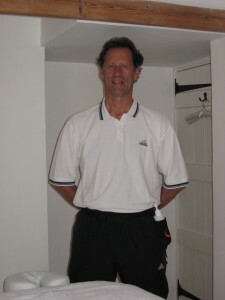 Graham specialises in Sports & Remedial Massage. He completed his practitioner’s diploma at The London College of Massage and is a full member of ‘The Federation Of Holistic Therapists’. He has also completed a BTEC Level 5 Clinical Sports & Remedial diploma at The School Of Natural Therapies and is a full member of ‘The Institute Of Sports & Remedial Massage’. In addition to seeing his individual clients, Graham works with the local hockey club in East Grinstead. He stresses the importance of identifying warning signals prior to injury such as fatigue, strains or limited movement. These should be addressed with treatment before developing into a more serious injury. Taping & strapping, ultrasound and spinal manipulation is included as an option, should it be required. Graham also offers a Foot Care Clinic for nail trimming, callus/corn removal, cracked heels, ingrown toe nails, fungal infection advice, therapeutic foot massage and verrucae/wart removal advice.